Assistance available at The Salvation Army Flemington Corps includes utility assistance, clothing and furniture vouchers, Prescription Savings cards, emotional and spiritual care, facilitation for entry into Salvation Army rehabilitation centers and agency referrals. The Social Service office is open from 10:00am through 3:00pm, Tuesday through Friday. 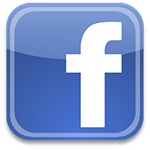 To keep up to date on programs, program times, annual programs, and new events, please like us on Facebook!